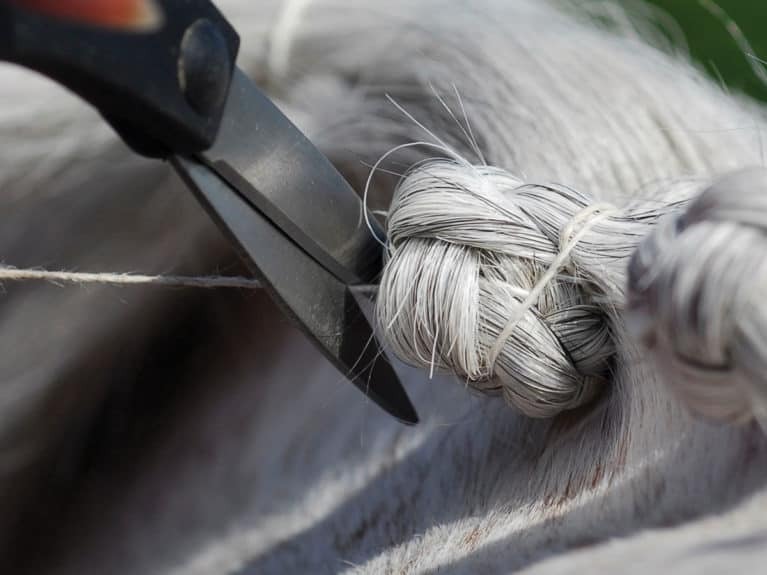 Create perfect plaits for your pony with our handy step-by-step guide which shows how to plait a mane with needle and thread or with bands. 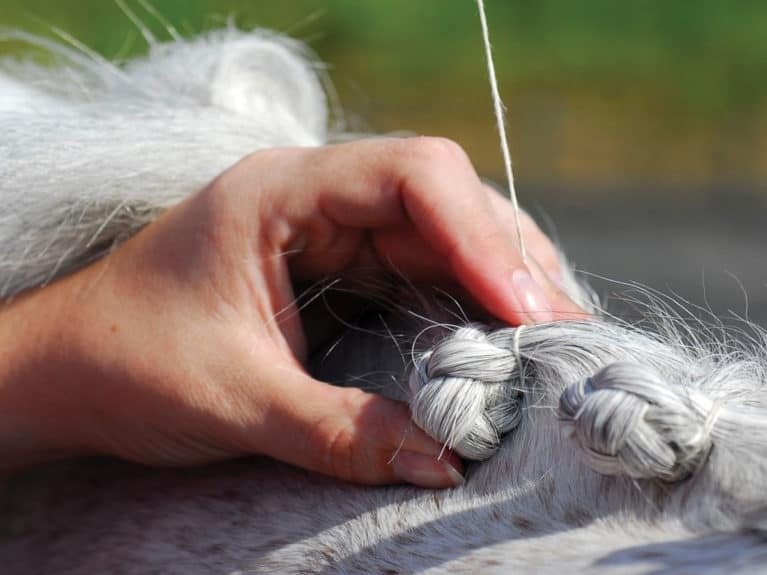 Ponies’ manes are plaited so they look smart at competitions and to show off their conformation in showing classes. Plaits can also help train the mane to fall to one side of the neck (if you are plaiting for this purpose, only follow our guide to step 3). Dampen your pony’s mane with a wet brush, and divide it into an odd number of even-sized sections, using plaiting bands to hold the hair in bunches. Starting behind the ears, divide each section into three. Plait tightly from the base and keep an even tension on each section. At the end of each plait, push your needle and thread through the bottom of the plait from underneath. Make a loop with the thread around the plait, pass the needle through the loop and pull tight. Repeat this to make the plait more secure. 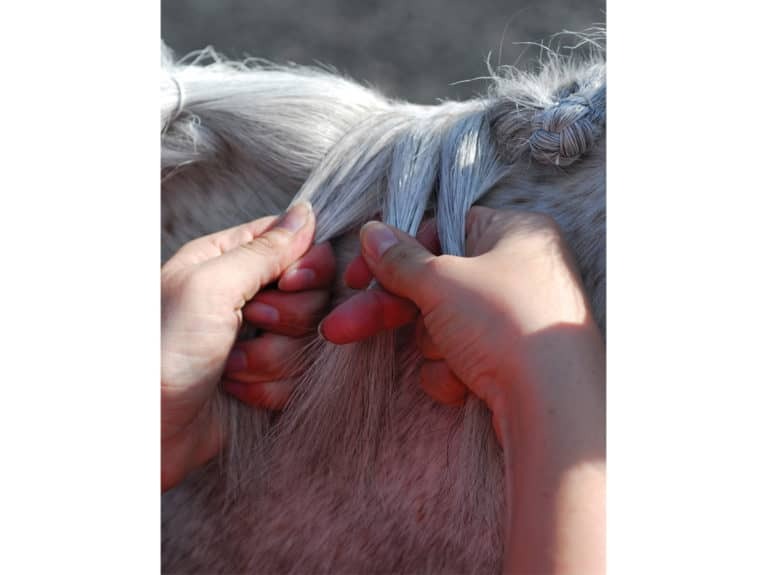 Push the needle up through the base of the plait, close to the crest of your pony’s neck. This will double the plait over. 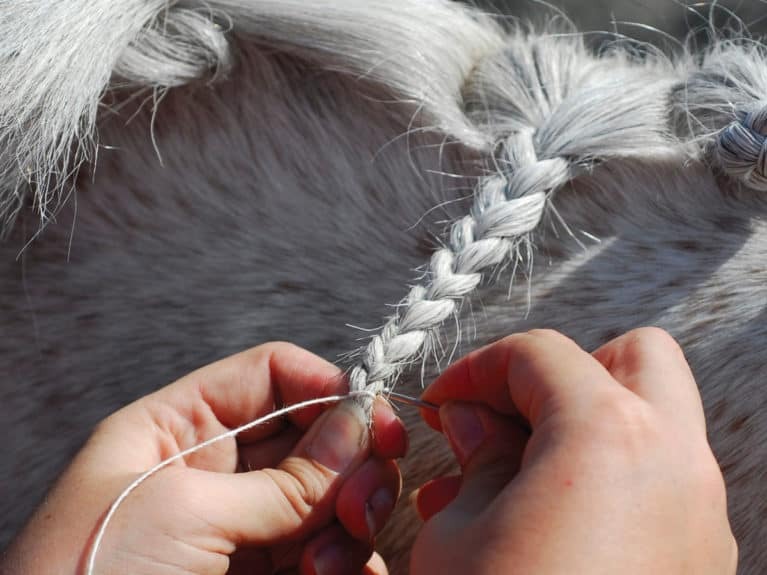 If your pony’s mane is long, fold the plait again. Pull the needle and thread through the plait, loop around the side and repeat a few times each side to secure it. Cut the thread close to the plait so it looks neat. Instead of sewing plaits, you can secure them with plaiting bands. Follow steps 1 and 2, then secure the end of the plait with a band. Follow step 5, then secure the plait into shape with another plaiting band. Top Tip! 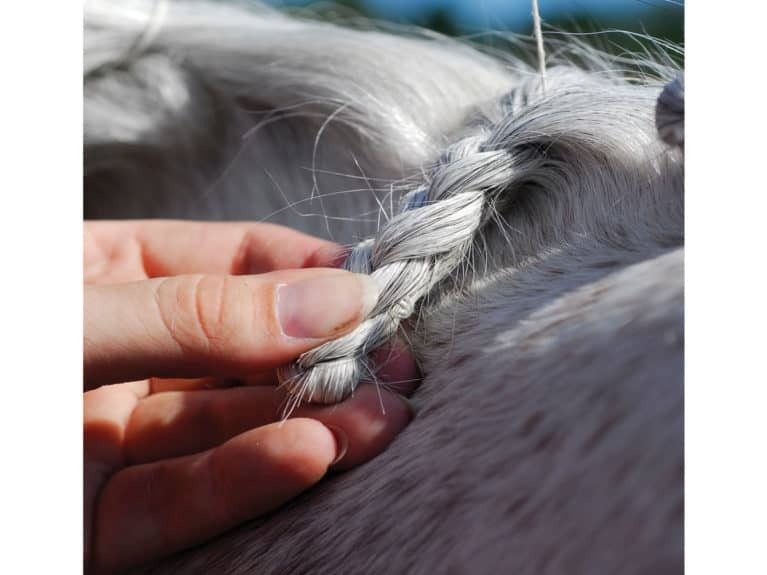 – Remember to make an odd number of plaits along your pony’s neck, plus his forelock, to make an even number in total.